Want to please a college student? 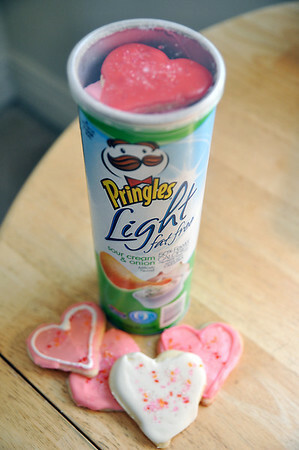 Stack freshly baked cookies in an empty Pringles chip can for a shipping-friendly care package. This can held 25 cookies. It was sealed with the original Pringles' lid and then dropped in a bubble-wrapped envelope and mailed. Your favorite study buddy will thank you for the cookies and Dorothy Wonacott, who offered this tip, for their safe arrival.